Kate Cann lives in England with her husband, daughter, son, and dog. She worked as an editor for many years. She also writes romances. 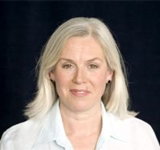 Read some of her fiction at Kate Cann’s website. Rayne — (2008-2011) Young adult. Publisher: Rayne can’t wait to start her summer job at a remote country mansion, far from the crowded, noisy London she so desperately wants to escape. But the retreat soon turns into a nightmare — the mansion is creepy, the legends of ghosts keep Rayne up at night, and she doesn’t feel safe anywhere. Can Rayne figure out why she’s so freaked — before she becomes a ghost story herself? 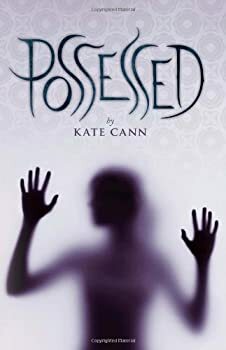 The beginning of Possessed drops the reader right into the stifling life of Rayne, a young London teenager. Her relationships with her mother and boyfriend are dysfunctional, and she’s unable to find a moment’s peace amid the noise and crime of the city. Kate Cann does an excellent job of showing us Rayne’s frayed nerves and her desire to get out of her neighborhood by any means necessary. Desperate, she takes a live-in job at the country estate of Morton’s Keep. When I learned that Consumed (Fire and Rayne in the UK) was being released stateside, I was excited. I enjoyed the previous book, Possessed, and was eager to find out what lay in store for Rayne and for Morton’s Keep. 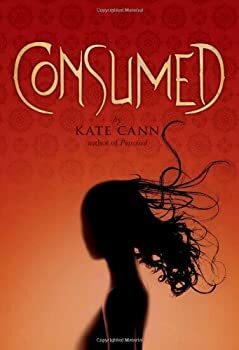 Kate Cann has done a great job with this sequel, giving us a hair-raising tale that tops the first book and brings Rayne’s story to a thrilling conclusion. Crow Girl — (2005-2006) Young adult. Publisher: Lily is an outsider. Girls bully her, boys don’t know she’s alive. She begins to hide from her troubles in the nearby woods. But she’s not alone. The crows are there. Watching. When she finds the crows, she finds herself — and a burning need to show everyone at school the new Lily. Will this Halloween night be a night to remember? Witch Crag — (2012) Publisher: In a world where ‘elite’ men rule and women and ‘weak’ men are second class, Kita and her friends must make a choice: to remain with tribes and accept arranged marriages and being treated with less value than sheep, or escape and journey to the place that even the strongest men fear with their lives — the witch crag.